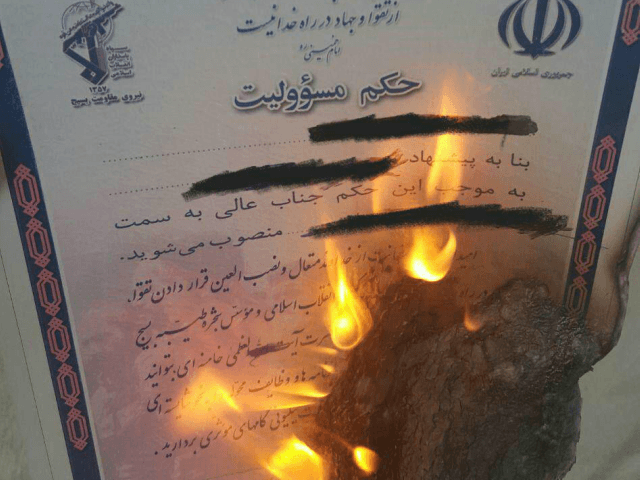 A video has surfaced on social media showing a former member of Iran’s Basij militia burning his ID card in solidarity with the people of Iran and against the Islamic Regime. Several other videos have surfaced alleging to show current Basij militia members burning their ID cards on social media. In these videos, the subjects do not show their faces, citing fears of retribution from the government. According to the Daily Mail, videos of civilians burning government documents and bills, and refusing to pay their utilities, have also surfaced over social media.